New faces permeated the record crowds that visited Sauk Prairie for Bald Eagle Watching Days on Jan. 13 and 14. 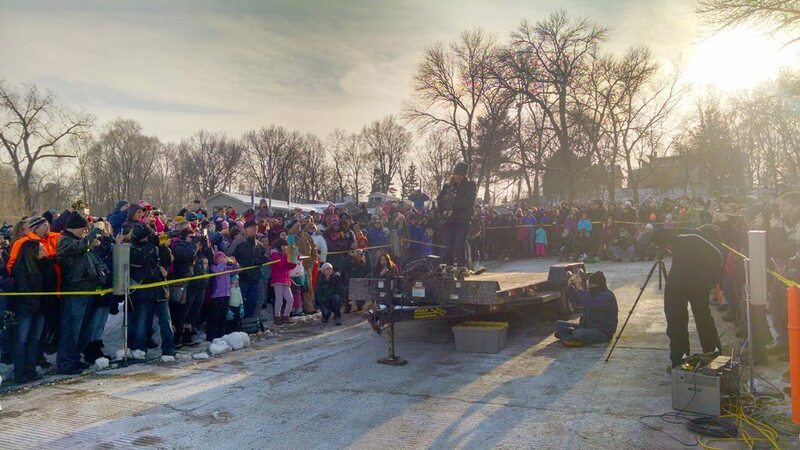 Event co-chair John Keefe said about 2,000 people watched as Marge Gibson, from the Antigo-based group Raptor Education Group, released three rehabilitated bald eagles into the wild from VFW Park in Prairie du Sac on Jan. 14. Keefe said it’s common for the eagle-watching festivities to draw newcomers, many of whom come from outside the Sauk Prairie area. This year marked the event’s 30th anniversary. Bald Eagle Watching Days mixes traditional bird watching along the Wisconsin River with educational events and opportunities to see the raptors up close.